Open yourself to receiving the gift of gratitude in your heart. 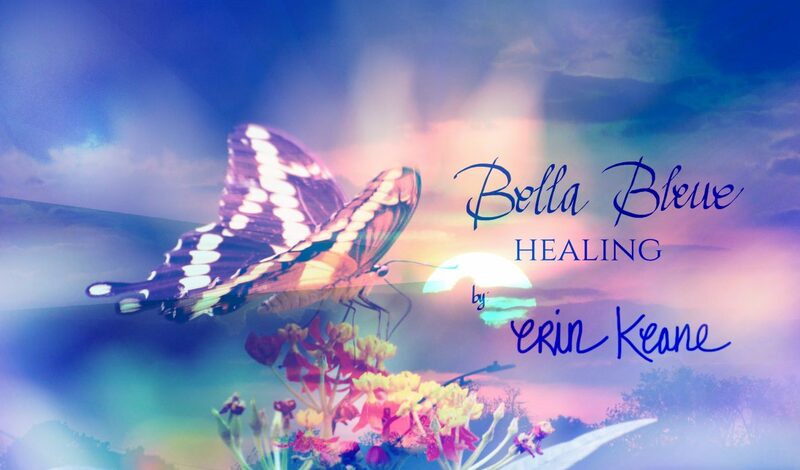 Feel your inner-being transform into a well of peace, love & healing. When you offer “thanksgiving” for all the many Blessings you have, and allow yourself to be filled with gratitude, it changes your state of mind, and your worldly out-look is suddenly filled with a positive perspective. You become more deeply connected to the Holy and Sacred. 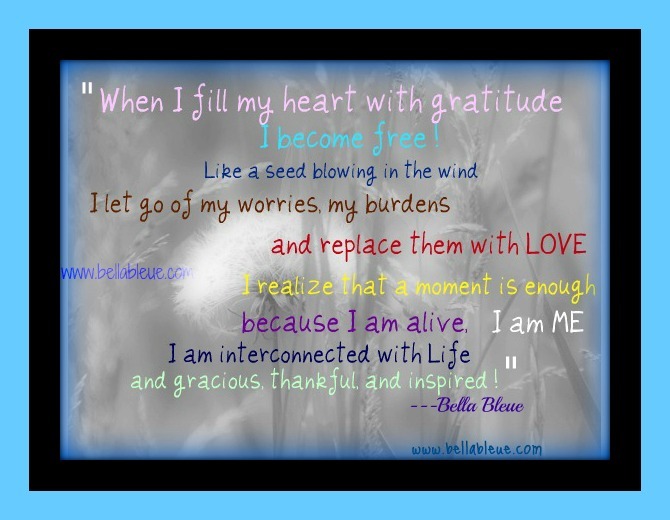 ©Bella Bleue Healing, Health & Inspiration for Your Life”™ All Rights Reserved. 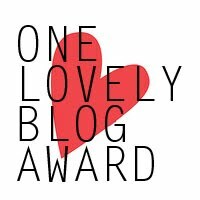 I am greatly appreciative to Andrew who shares his wonderful blog, Influence Vs. Control for the nomination for the “One Lovely Blog Award”. Andrew is a wonderful writer who shares inspirations and proactive solutions to live a happier, and more fulfilled life. Definitely check out his blog! My Cat Max. Though I also adopted a pup in September, and I’m certainly learning to love my dog too! Giving Presents—fun to go shopping and fun to see the person’s expression…or I love to bake too and giving out baked goods is so fabulous! Creating love and connection through writing, photography, and human relationships–with one another and the created world. 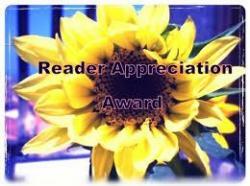 A very gracious thank you to Nikky who shares her deep and wonderful blog, Nikky’s Strength and Weakness for the Reader Appreciation Award. Nikky inspires me with her honest stories and beautiful strength. I certainly enjoy visiting her blog, and hopefully you will too! 5. 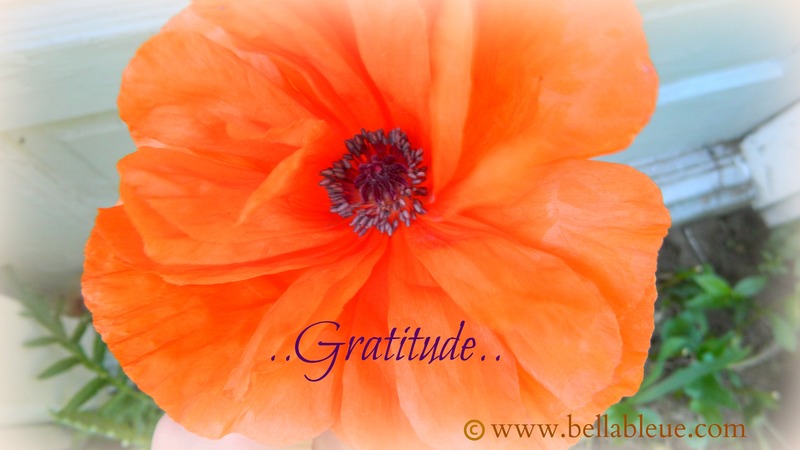 Pay the love back with gratitude and a link to the blogger(s) who nominates you. My nominations for the blogs I really enjoy reading…you should check them out too! Thank you, each of you, for your superb messages! I am so thankful to Reality In Progress for this fun sisterhood award! Reality In Progress writes wonderful poems and shares her thoughts that encourage you to sit back and think about life, while soaking it while you read her words. I encourage you to check out her fabulous blog! 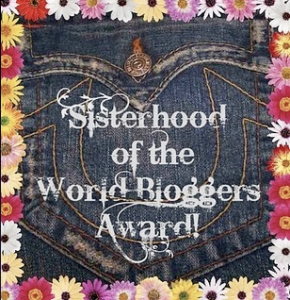 I have met wonderful women across the globe because of blogging and am thrilled to share this award! 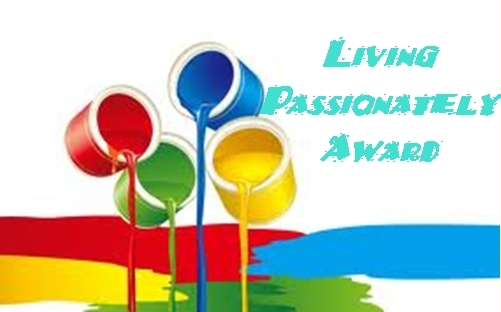 Another big thank you to Reality In Progress for the Living Passionately Award! I am humbled that you enjoy stopping by my blog. This is a special award to receive, because Reality in Progress shares passion and depth in her fabulous writings. She definitely deserves this award! Post the award someplace conspicuous…..the underside of the hamper lid, inside of the lav door, at the bottom of the bird-cage. These are a couple blogs that help me take a deep breath and color my life with their wonderful photos. Thank you so much to each and every one of you for the gifts I have received from all of you! 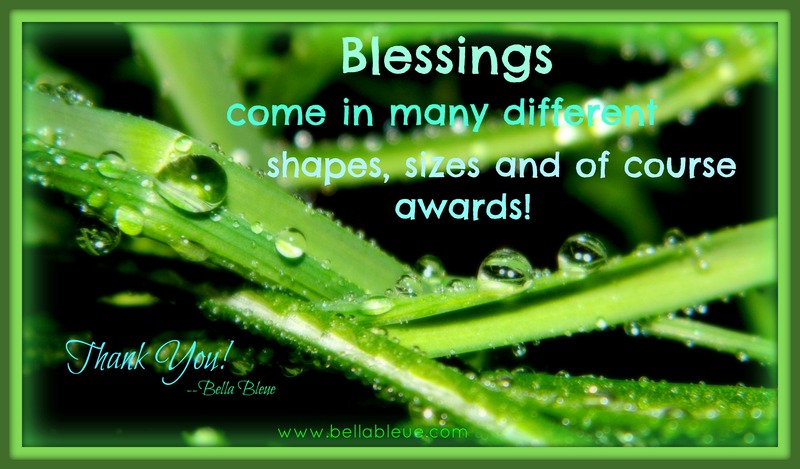 Blessings on your days ahead! This week I was blessed with a special kind of sunshine in my world…the kind that comes from connection with people and the relationships in life that make you feel lighter, happier and energize you to share light with others. I was nominated for the sunshine award by two fabulous women who shine light, love and healing on the world. Thank you to Michele who writes a beautiful, inspiring, and honest story about her journey through life in her blog, Words of Compassion, Creativity & Knowledge. Thank you also to Lisa who writes about the “Gems” in our every day life and shares a story of compassion and love in her beautiful and inspiring writing through her blog, Gems of Delight. Pay the love forward by nominating several inspiring blogs you enjoy by posting a link to their page (on your page) and comment on their blog to let them know they’ve been nominated and invited to participate. Do you prefer Facebook or Twitter? Facebook. I like seeing images right away. What’s your passion? Creating love and connection through writing, photography, and human relationships–with one another and the created world. Do you prefer giving or getting presents? Giving. What is your favorite flower? 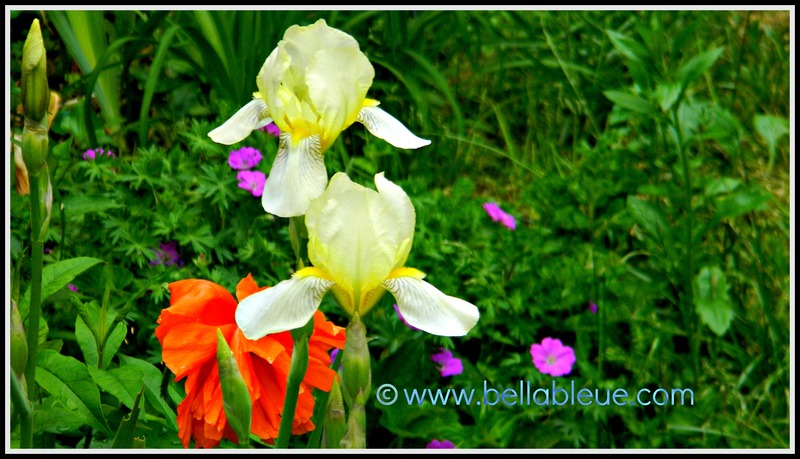 Oh, that’s a hard one…I love so many, but I guess I’d have to say Irises. For the light that shines through your very being. A healing light shines forth from you. And has graced the world that we are making sense of. and all that you are yet to become. 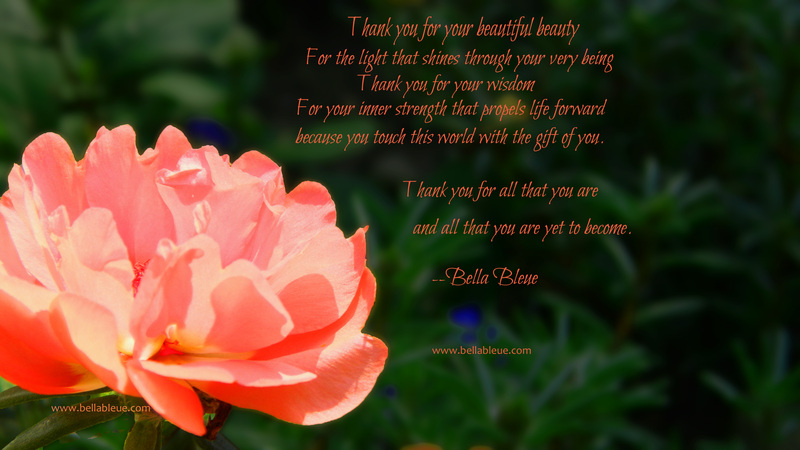 Thank you to all of you who have graced my path of life and taken the time to read, comment and join me in this journey.